Hurry up! The application window for CSIR UGC NET exam will be closed today. Therefore, candidates who haven’t applied for the exam yet can submit their application form on the official website. This year, UGC NET ( National Eligibility Test) 2019 will be held on 16th June 2019. Therefore, candidates can do the preparation for their examination according to the exam date. However, the last date was extended to 22nd March by the Research Institute as earlier, the last date to apply for the exam was 18th March 2019. 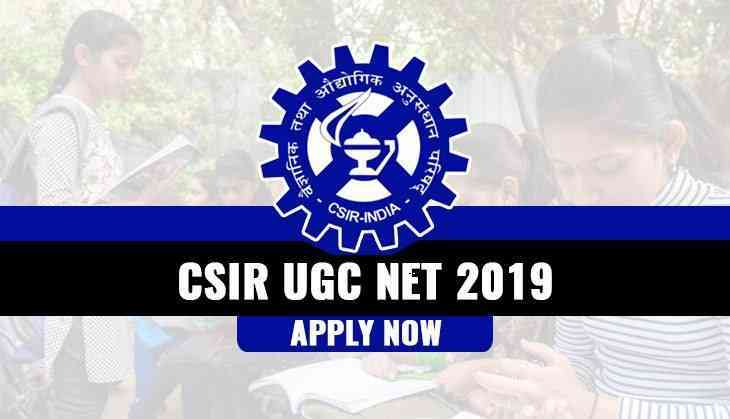 CSIR UGC NET will be held in two sessions i.e. morning and afternoon. The shift I will be conducted from 9:00 am to 12:00 noon and shift II will be held from 2:00 pm to 5:00 pm. However, the exam will be of 200 marks. Candidates who are applying for the exam must have degrees like M Sc degree or equivalent degree/ Integrated BS-MS/BS-4 years/BE/BTech/BPharma/MBBS or should have B Sc (Hons) or equivalent degree holders or students enrolled in Integrated MS-PhD program. The minimum age limit to apply for the exam is 28 years.